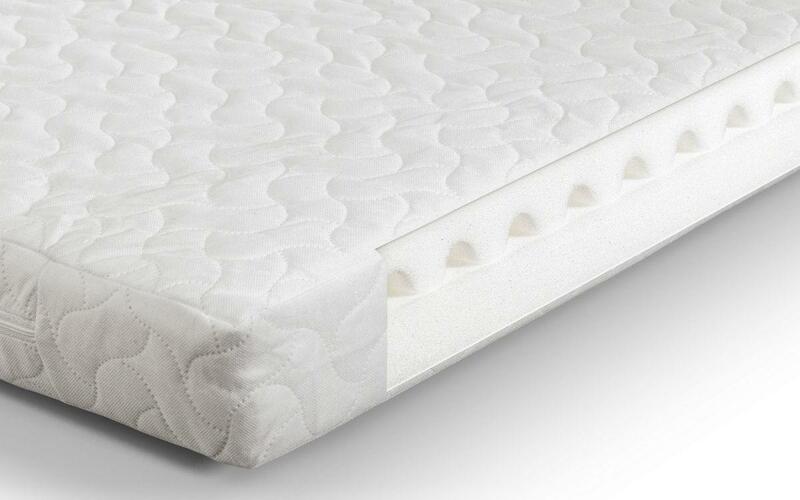 The Airwave Foam Cotbed Mattress has a unique dual airwave system with two different comfort levels, a breathable foam core and moisture repellent finish. It's removable zip cover can be easily cleaned. 10cm deep for a comfortable and supportive sleeping as recommended on the National Childbirth Trust website. Suitable from Birth.